Postal Address: The Topps Company, Inc. Personal information is data that identifies an individual either directly or indirectly. Interest and Demographic Information, such as your age, gender, interests and preferences. Technical Information collected when you use the Services, such as your IP address, device information, information about the network you are using to access the Services, browser type and version, your activities while using the Services, sites or services previously visited, and content you see or click on. Order Information collected when you purchase a product or service, such as products ordered, payment information, and Personal Contact Information for the sender and recipient. Customer Service Information collected when you contact our internal or external customer service agents. Location Information including information that allows you to be precisely located. Your Duty to Inform Us of Changes. It is important that the personal information we hold about you is accurate and current. Please keep us informed of any changes to your personal information during your relationship with us. If You Fail to Provide Personal Information. Where we need to collect personal information by law, or under the terms of a contract we have or are seeking to enter into with you and you fail to provide such data when requested, we may not be able to perform the contract (for example, to provide you with goods). Third Parties. If you choose to access the Services or register using an external third-party application, such as a social network, Topps will receive information from such application. Certain Services, including eTopps, may provide the option to sell any of your eTopps cards on the special eTopps trading floor on eBay, in which case we will ask you for your eBay user name and password. That information will allow us to list your items for sale on eBay, and to track the auction for you. By providing us this information you consent to allow us to link your eBay account with your eTopps account. Mobile Devices. Topps or its third-party technology partners may also collect Location Information, including Location Information provided by a mobile device interacting with one of our apps or associated with your IP address or Wi-Fi network. You can generally limit or prohibit the collection of Location Information using the built-in settings on your mobile device. Check the device instructions for information on how to do so. We do not permit the collection of precise location information (actual address) in mobile apps without your consent. 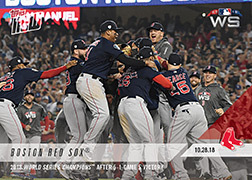 Topps collects information from and about you to serve your needs, manage our content and advertising, operate efficiently, and improve our Services and products. You have the right to access, update and correct factual inaccuracies in personal information that we collect through the Services, subject to certain exceptions. Subject to applicable laws, you may also have the right to request to delete, restrict the processing of, or transfer your personal information, withdraw your consent (if we are relying on consent as a basis for processing your personal information), or object to our processing of such information. To exercise such rights, you may e-mail us at the address in the How to Contact Us section above. If you have created an online account, you can access, update, and delete your personal information or request to delete your account by logging in to your account through the Services. Any requests you submit will be reviewed and, if approved, processed by our staff. We may retain certain information as necessary to pursue legitimate business interests or resolve disputes or as required by applicable laws. To protect your privacy and the security of your personal information, we will take reasonable steps to verify your identity before granting access to your personal information or deleting your account. If you are a citizen of an EEA member state, you also have the right to contact supervisory authorities within the EEA about any concerns you have related to Topps’ privacy practices. You will not have to pay a fee to exercise any of the aforementioned rights, but we may charge a reasonable fee if your request is unfounded, repetitive or excessive. Alternatively, we could refuse to comply with your request in these circumstances. We try to respond to all legitimate requests within one month. Occasionally it could take more than one month if your request is particularly complex or you have made a number of requests. In such case, we will notify you and keep you updated. 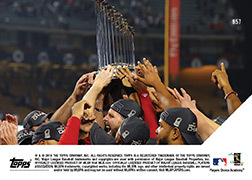 Topps and its service providers, including advertising and analytics partners, use small text files called “cookies” and similar technology that are saved on your computer or mobile device to automatically collect information about use of the Services. Different types of cookies, such as session or persistent cookies, may be used for different functions. Persistent cookies remain on a user’s device for a set period of time, and are activated each time a user visits the Services where cookies were set. Session cookies are temporary and allow us to link a user’s actions during a browser session. The information collected includes device information, information about the network you are using to access the Services, sites or services that you previously visited, and content you see or click on. Essential. These are essential to navigate the Services and use the features, and they enable us to provide services such as registration and shopping carts. Functional. These are used to recognize you when you use the Services. They enable us to personalize content for you and remember your preferences. Analytics. These are used to understand and improve the Services and understand how you use the Services. Advertising. These are used to deliver relevant ads and track ad campaign performance and efficiency. Social. These allow you to share content and experiences and to sign in with your social network ID and stay logged in across the Internet. Click here for more information about the types of cookies being used and their purposes. Although many browsers are initially set to accept cookies, you may be able to adjust your settings to reject cookies. Choices are browser and device specific, and if you clear cookies from the browser on any of your devices, your opt-out choices will need to be reset. Consult the "Help" section of your browser or built-in mobile device settings for more information. In addition, please note that certain areas of the Services only can be accessed when cookies are enabled. Thus, disabling cookies may prevent you from accessing some of our content. Topps strives to use commercially reasonable physical and electronic security measures to protect against the loss, unauthorized access, misuse, or alteration of your personal information. We use encryption or other security measures to protect payment information during transmission and adopt internal procedures to safeguard such information in our systems. We limit access to personal information to those employees, agents, contractors, and other third parties who have a business need to know. Please be aware though that, despite our best efforts, no security measures are perfect or impenetrable, and we cannot guarantee the security measures of third parties. As the Topps family of companies operates globally, we may transfer to and process personal information about you on our servers in the United States and/or countries other than your home country, and we may use cloud services whose servers may be anywhere in the world. Please note that the data protection laws of some countries, such as the United States, may not offer a level of privacy protection equivalent to that within the European Economic Area (EEA) or your home country. If your use of the Services results in the transfer of personal information from the EEA to non-EEA countries that have not been deemed to offer an adequate level of privacy protection, we may rely on (i) standard contractual clauses approved by the European Commission in our contracts with parties that receive information in such countries, and /or (ii) third party service providers in the United States that are certified to receive such information under the Privacy Shield program. By using the Services, you expressly consent to such transfers.